Nags Head Apothecary is a family-owned business dedicated to using unadulterated essential oils and herbs, organic cold pressed carrier oils and base products. Certified Aromatherapist and Outer Banks local, Meg Errickson, founded Nags Head Apothecary. Meg lovingly formulates wildcrafted and certified organic ingredients into her products to form highly-effective and safe products for your face and body. Naturopathica pairs natural ingredients with clean actives to create skin care, body care and herbal remedies that deliver true and lasting results. Naturopathica believes in the power of plants. Committed to clean, sustainable ingredients, they never use toxic ingredients or know irritants in their formulas. Naturopathica allows for seeking the source of an imbalance to provide true and lasting results. 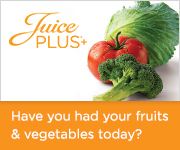 Juice Plus + Juice Plus + ® Provides the nutritional essence of 17 different fruits, vegetables and grains in a convenient capsule form. Click here to learn more.